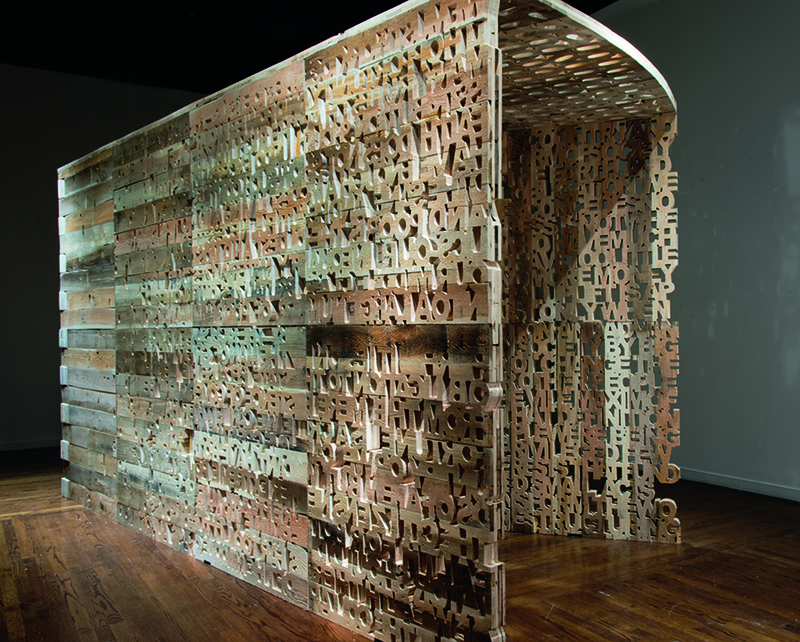 Shrinking Room is a monumental, wood sculpture that merges architectural form with text to address issues of wealth inequality. The sculpture incorporates 25 quotes by activists, philosophers, artists and writers spanning various points in history to present day, all of which assert opposition to greed, class inequality and oligarchical societies. Through various additive and subtractive woodworking methods, the quotations were carved and formed to produce lattice-screens. 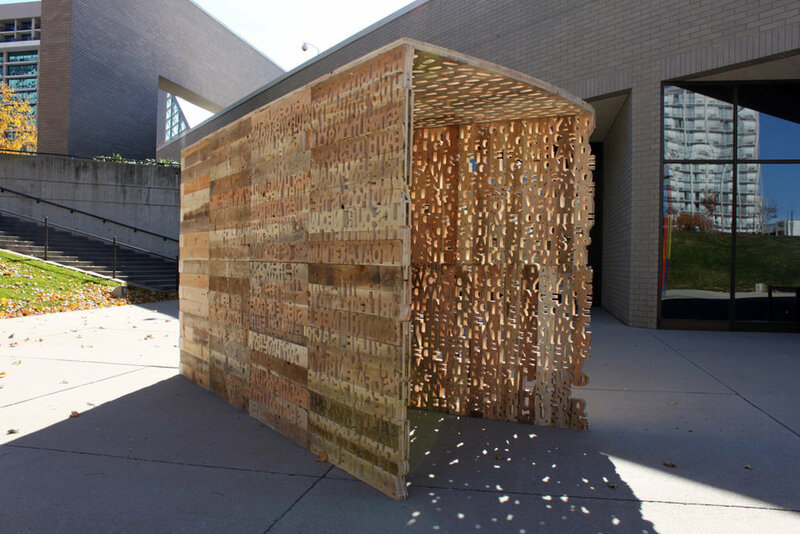 The sculpture was created with used pallet boards, and transforms these everyday objects used for transporting goods with digital design and computer controlled fabrication. 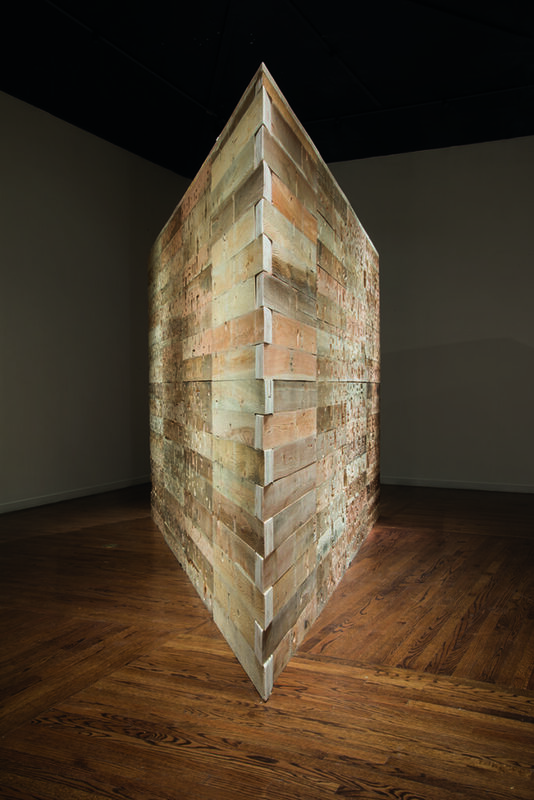 The raw, weathered wood is contrasted by machine-cut font and hints at economical tensions between labor and technology, or divisions between production and capital.